Tired of staying in hotel rooms when you go on your holiday to the Cayman Islands? How does your own home – for the duration – set in a secluded grove, or by a private beach, or with its own pool sound? Just rent a property for your vacation, you can choose whatever your heart desires. A property directly on the most prestigious beach in the Cayman Islands, Seven Mile Beach, or on tranquil Little Cayman, a beachfront cottage where you can walk on your own private beach or a condo where you are never far from the upbeat night life Cayman has to offer. Vacation rentals are perhaps the best way to enjoy a holiday in the Cayman Islands, enabling you to experience the authentic island lifestyle. So how can you find your dream vacation rental in the Cayman Islands? Connecting with a reputable rental agent based in the Cayman Islands that specializes in Vacation Rentals is your first step to renting a vacation home in the Cayman Islands. Booking from abroad, may seem daunting as you never know what you are going to get, after all you haven’t seen the property yet. You may have never even been to the Cayman Islands. What you will need is the expertise of a Rental Property company that is dedicated to ensuring that your vacation turns out to be the perfect getaway. 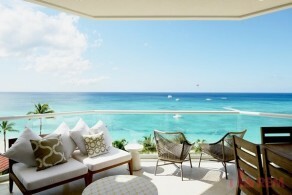 REM Services specializes in Cayman Islands Vacation Rentals. No sale and no purchase. Thus, its team has the expertise and experience to ensure that you get what you desire at the most fair price. REM Services inspects each property in detail to ensure you get a vacation home that meets your specifications and you get the facilities you are promised when you book the vacation home. REM will be on call to guide you through the process and resolve your problems, if any. There’s everything on offer from Luxury villas to five-star condominiums to lovely private beach cottages and condos. Many properties offer additional services to care of any other requirements such as housekeeping, laundry, and private chefs. All units, offer wi-fi and other everyday appliances you have in your own home – everything ranging from a TV to a washing machine to a hair dryer. Take your pick. Given the Cayman Islands’ natural beauty – clear blue seas, white sands, dive sites, exotic marine life, and clear skies –high season is a busy time, so be sure to book in good time. On the owners’ side, a real estate rental company will market your property, meet and screen tenants, and take care of the lease and legal aspects even as they provide you with regular reports on your property. So as you plan your next Cayman Islands vacation, contact REM Services and let them know what you would like in the way of a Vacation property, be it a 5-star luxury Villas or a high end 3 bedroom private Beach Cottage – the team will do a full search and come up with your desired location and price to fit your perfect holiday.